For Alabama fans, their New Year holiday seems to last a lot longer than other football fans. 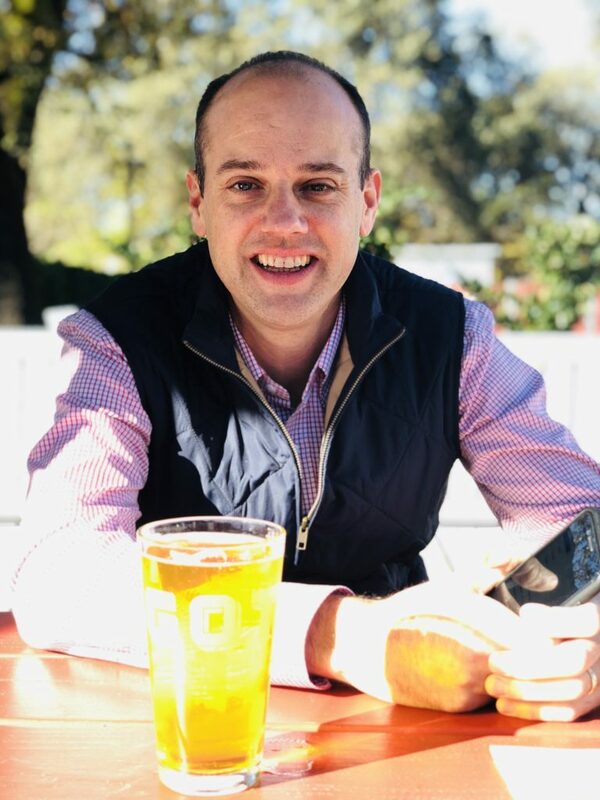 With so many of our readers heading out West in hopes to bring home another National Championship, I thought it would be helpful to give you the 411 on my recent trip to the Napa Valley. What’s the 411 on wineries? Since we were new to Napa, we opted for private tastings and tours at each vineyard we visited. We honestly didn’t know anything about the winemaking process (which was a little embarrassing given how much we enjoy the final product). I highly recommend this approach for your first trip to the wine county. After two days of tours and tastings we were totally comfortable popping in any winery to taste on our own. Every winery has a different feel to their architecture and style. It was fun for me to see the aesthetics to each location as much as it was to sip on great wine. With there being so many wineries to choose from, you cannot get to them all in one trip. We will definitely be going back! When asked what my favorite winery was, I had no hesitation in saying Rudd Oakville Estate. Tom arranged for us to spend half a day there and it was hands down my favorite part of the trip. This family owned winery made us feel like they had invited me to their home for lunch. Located next door to the famous Screaming Eagle, the walks in their vineyard and gardens were picturesque. We were the only two guests there and we covered every inch of the property and caves, and even met their pet sheep. We wrapped up the tour by sipping on wine in front of a fire, pinching ourselves wondering what we did to deserve such an awesome experience. We opted to stay at Bardessono in Yountville. It was fabulous. The rooms were so comfortable and it was in walking distance to most restaurants. The real perk was watching the hot air balloons launch right outside our window on Saturday morning. If you have time, go by Napa Valley Olive Oil Manufacturing in St. Helena. It is small shack with a screen door. The walls are covered floor to ceiling in business cards that have been hanging there for decades. There are only two employees who are putting out bottles of olive oil as fast as they can bottle it. Kelly’s Filling Station and Wine Shop is a must. It is the trendiest gas station I have ever been to. It has one-of-kind snacks, gifts, cheese, etc. I could have looked around this tiny establishment for hours (and, yes, it is a working gas station). Before packing up go by Ranch Market and grab their wine packing boxes. Each box holds up to 6 bottles. It is all the wine you need to check on your flight home. While there are many great places to eat with Thomas Keller in the neighborhood, one of the most fun dining experiences was Gott’s Roadside This curbside eatery is looks like an old school drive up with tables all outside and a long line. Don’t let the line discourage you, it moved fast! Known for their burgers, I actually went for a Dungeness Crab sandwich and sweet potatoes fries. HOLY MOLY! Best sandwich of my life and Tom’s burger of course did not disappoint. Tom was most excited to get the hard to find Pliny The Elder on tap. In general, the wine country is laid back and casual. I over packed with an outfit for each day and then each night. 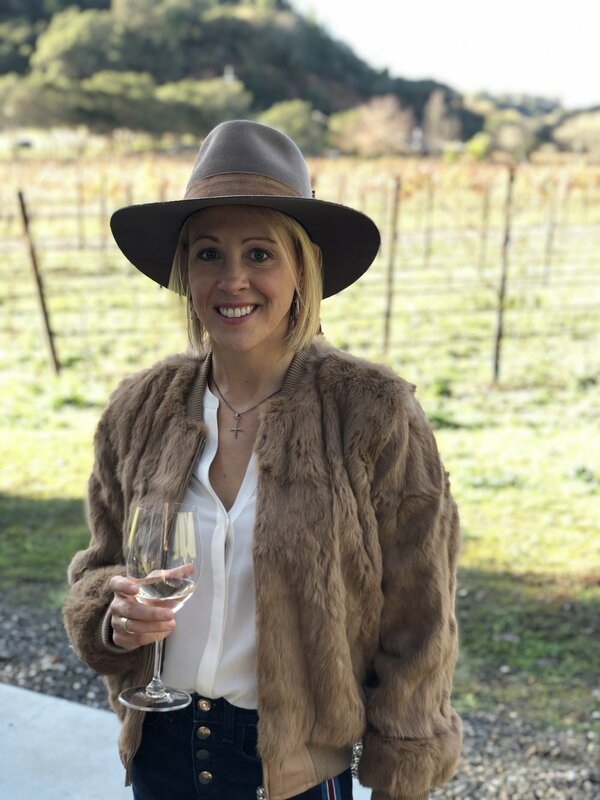 I found that a nice pair of jeans that kept their shape all day, a light sweater with a jacket option was perfect for both the wineries and dinners. There were was a night that I was glad I dressed up a bit, so having a shirt or dress packed is probably smart. As for shoes, flats or sneakers worked best for the tours and a pair of boots dressed up any outfit up for the night. Did you get a private driver? There is a lot of discussion on how you should get around the wine country while sipping on wine all day. There is a huge Uber presence, so you can really get wherever you need to go. However, we did opt in for a private car service to help make touring a little easier. I highly recommend this if you are going to go to a few wineries in one day and plan on purchasing wine to take back with you. It is comfortable, your driver can tell you about the area and most importantly you aren’t lugging wine around that you have purchased. I don’t think this is needed for every day you are there, as it can get pretty pricey. If you are flying in to San Francisco, we found an awesome driver that will pick you up in his BMW X5 and drive you out to the wine country. He will even come pick you back up and take you to the airport at the end of your trip. This is a must! Ibrahim Alhilla is his name and his number is 650-201-8371. Our quick trip out west was everything we had hoped it would be. Spending time just the two of us enjoying things that we love was a great end to a busy year. However, we did say we want to go back with a group of friends and to it all over again. Who is in?